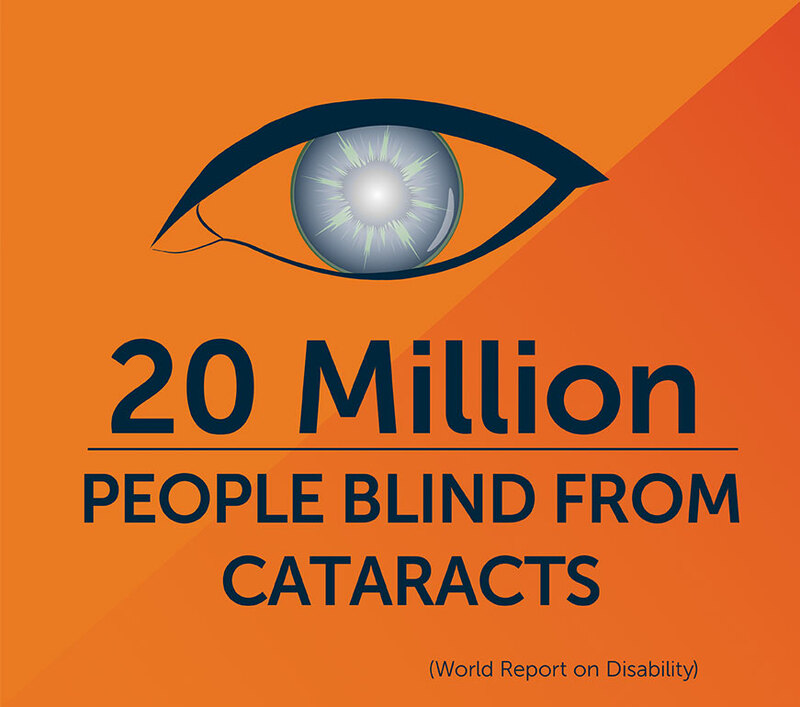 More than 20 million people are blind. Most could have sight restored in 10 minutes. Blindness doesn’t just affect one person. It affects an entire family. Bessie never imagined she’d enter her senior years caring for 7 orphaned grandchildren and 3 great-grandchildren. Yet, because of poverty and HIV/AIDs (so common in Bessie’s country of Swaziland), that was the difficult challenge she faced. Bessie wove mats out of reeds and grasses – selling them or trading them whenever she could. She also drew courage from the words of hope written in her Bible. Then Bessie lost her sight. She stopped working. She could no longer see her grandchildren’s faces. She could no longer read her Bible. Blindness wasn’t just a burden on her life – it pulled her children and grandchildren into deeper poverty as well. 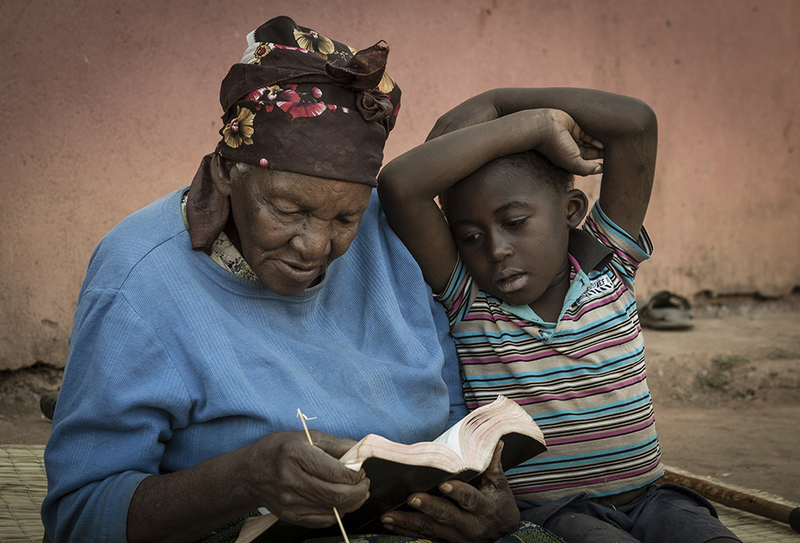 A $39 gift from you will restore sight to a grandmother like Bessie. It does more than restore a world of colour and life – it returns a bread-winner to a family in need. Cataract surgery restore’s hope and dreams to a young boy. Gafaro was born nearly five years ago in Uganda, so he should be starting school soon. Sadly, Gafaro developed cataracts in his eyes when he was just a baby. A child’s sight-restoring cataract operation is more expensive for a number of reasons – the need for expensive general anaesthesia (an adult’s cataract surgery is done under local anaesthesia), longer surgery, special instruments. 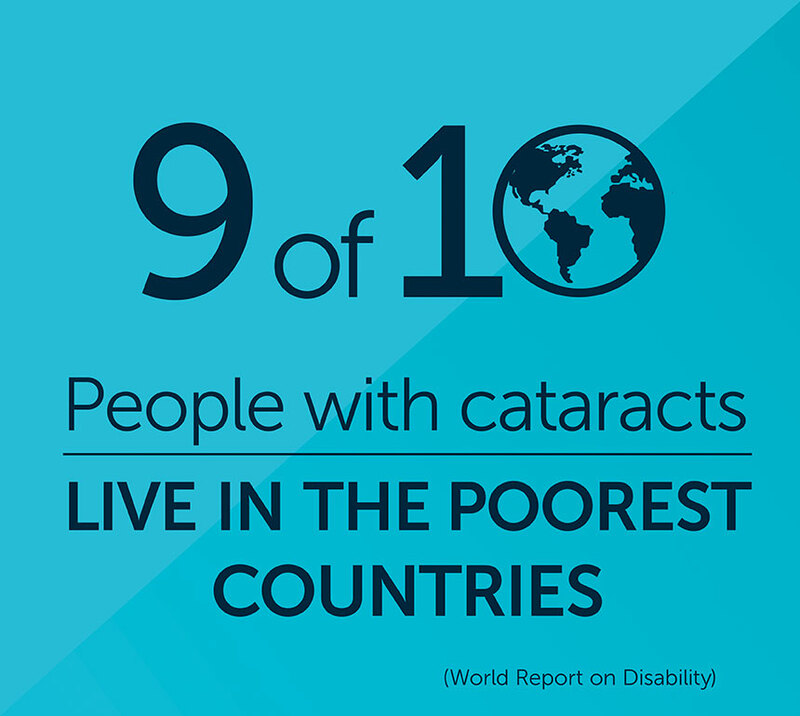 And yet, a child’s $200 cataract surgery restores a lifetime of sight, school, opportunity. That’s outstanding value! 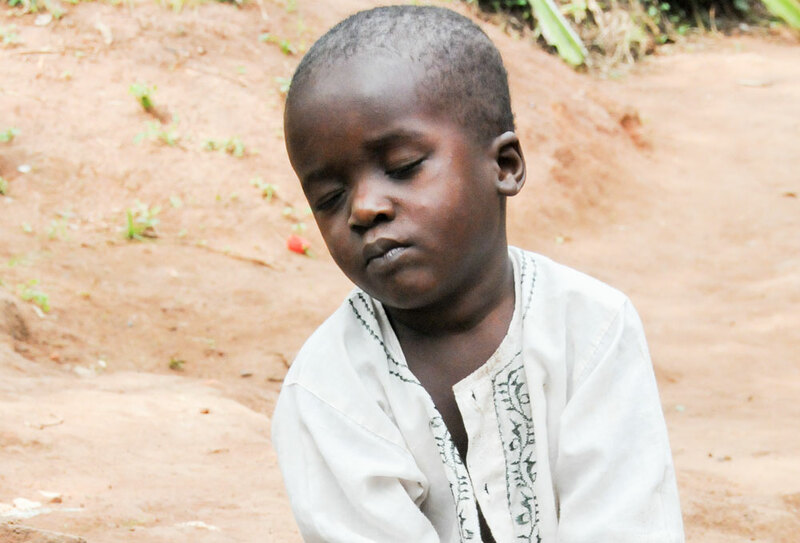 A $200 gift will restore sight to a child like Gafaro. Wendwosen once provided for his family. He cared for his animals and harvested his fields… Now the village children tell him the cows are eating his crops… and he’s powerless to stop them. Wendwosen is blind. His sight could be restored with a $39 surgery. Wendwosen is one of millions of people blind because of cataracts. 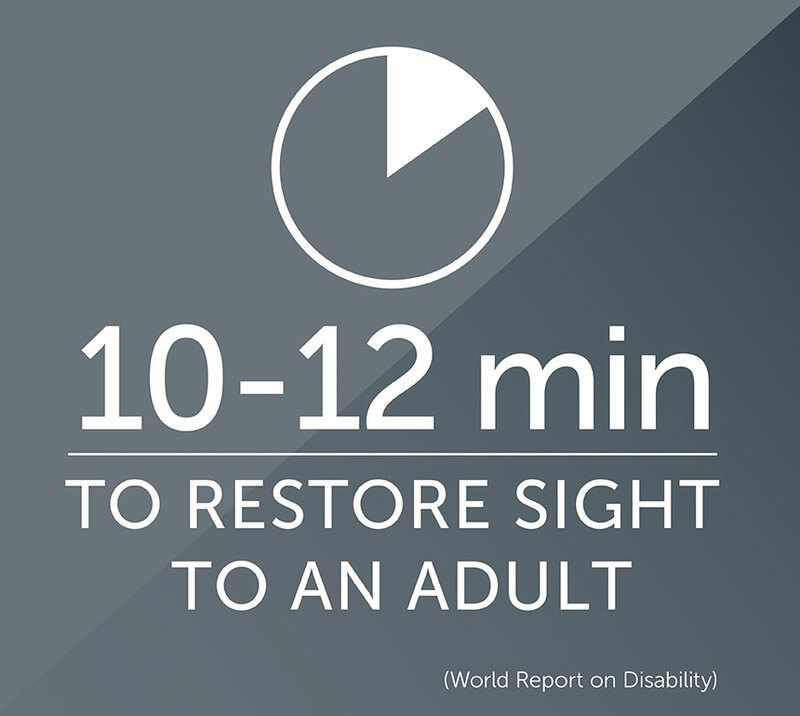 Most could have their sight restored today – if only they could afford a short, $39 surgery. To think that a person who has lost his or her eyesight can see again, can work, can contribute to the family, can enjoy the beauty of God’s creation. What a gift. Is there any kind of donation that can accomplish so much for so little?